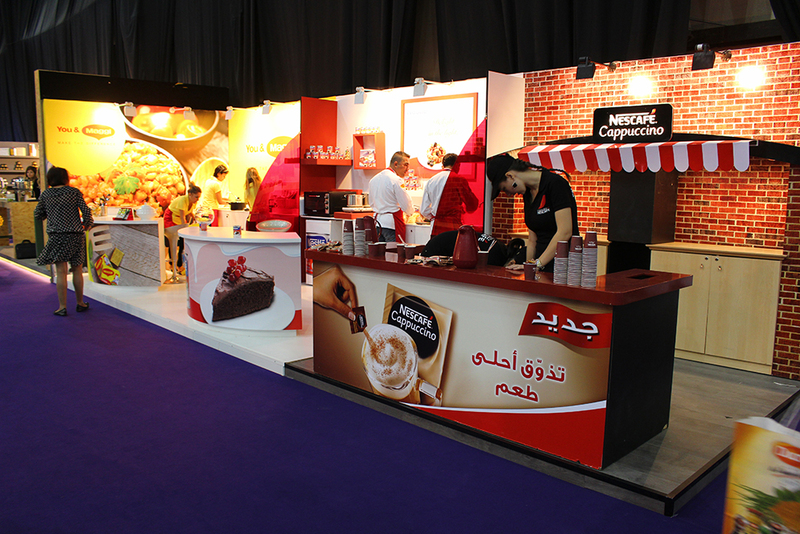 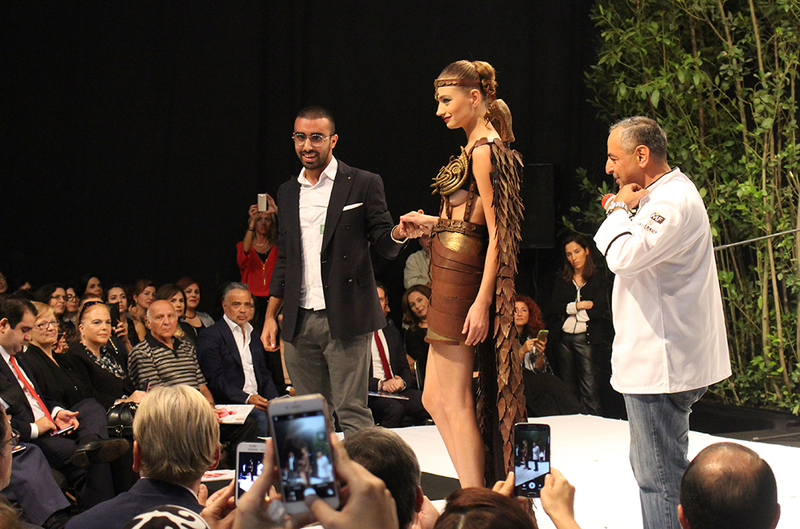 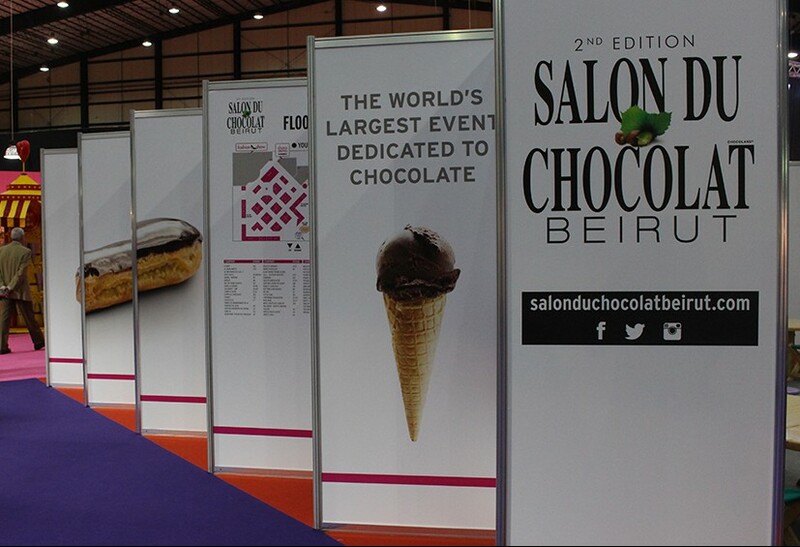 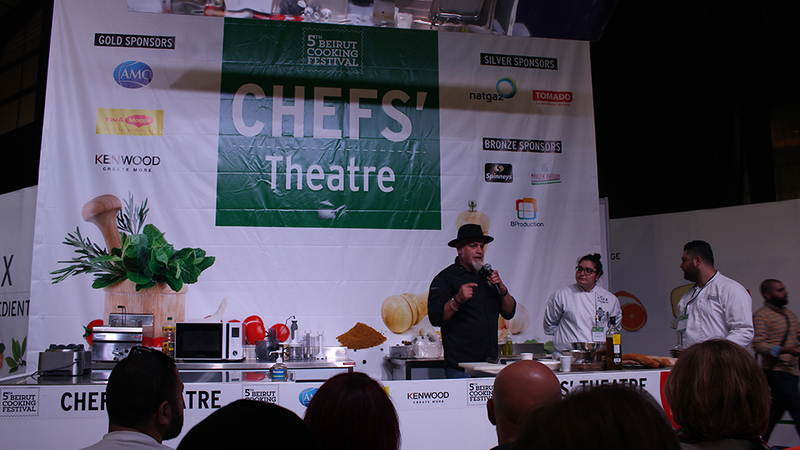 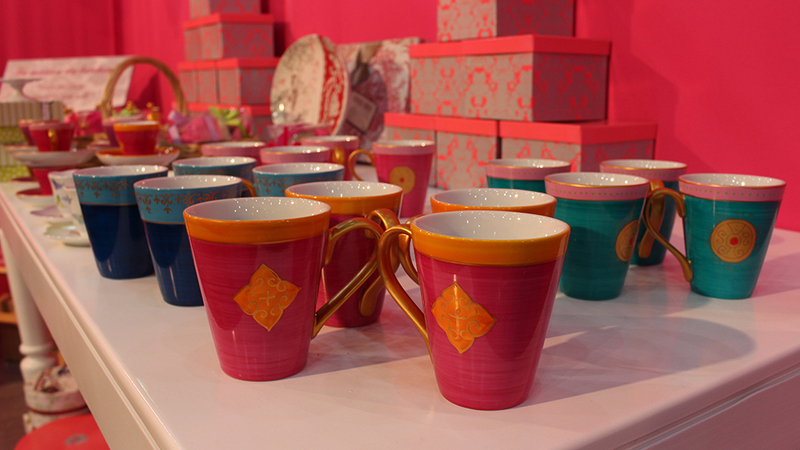 The opening of the much anticipated Beirut Cooking Festival & Salon du Chocolat took place yesterday. 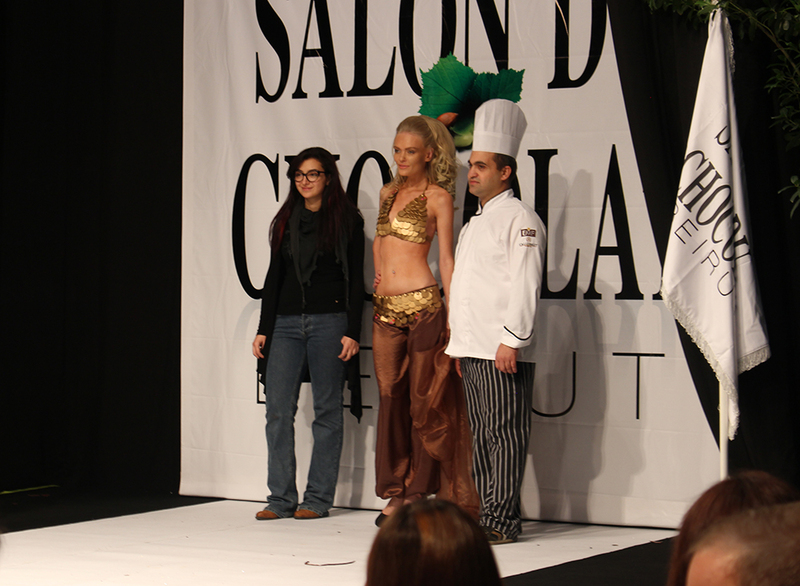 The 3 day event will remain until Saturday the 14th of November. 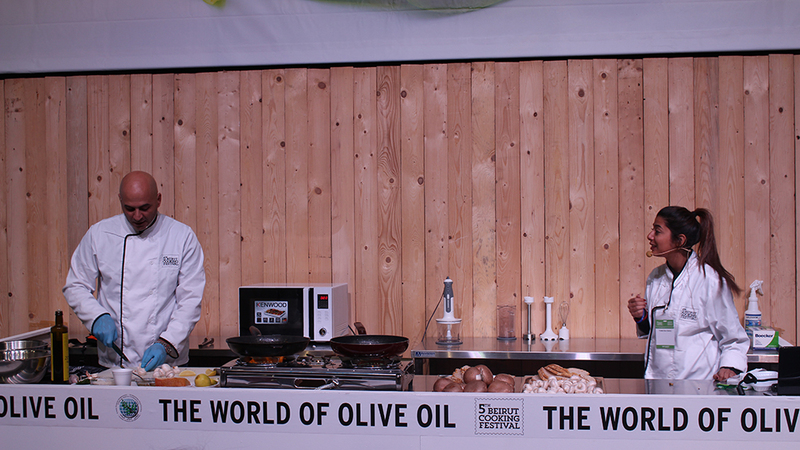 It was a lot of fun watching No Garlic No Onions Anthony Rahayel and Zeinab at the Rural delights cooperative stand making Freekeh! 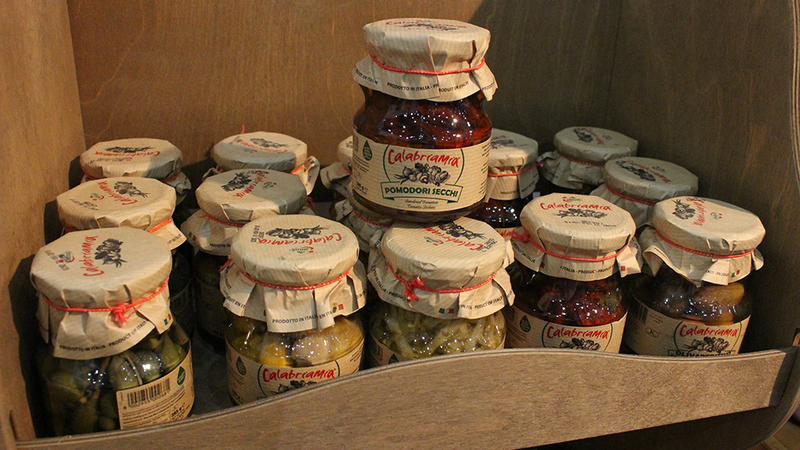 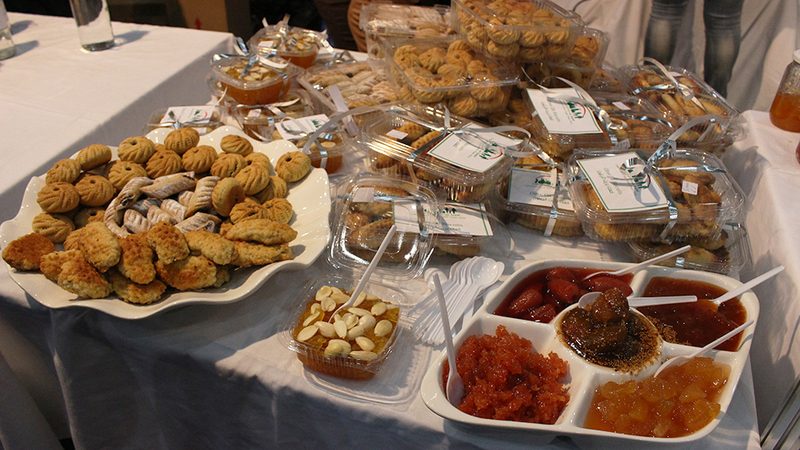 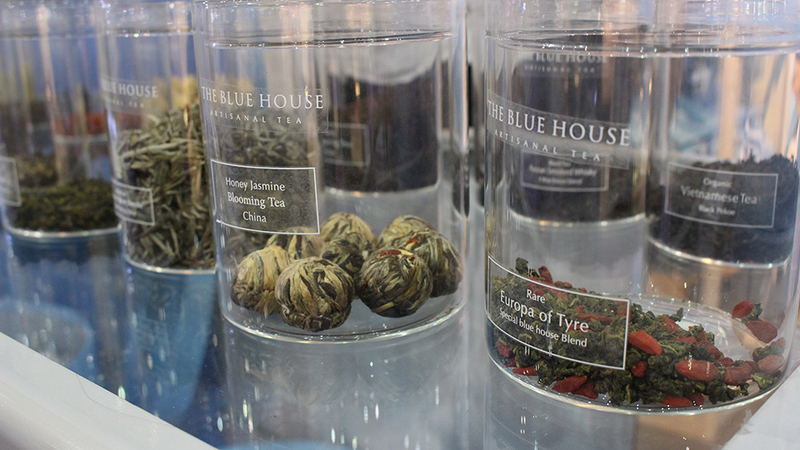 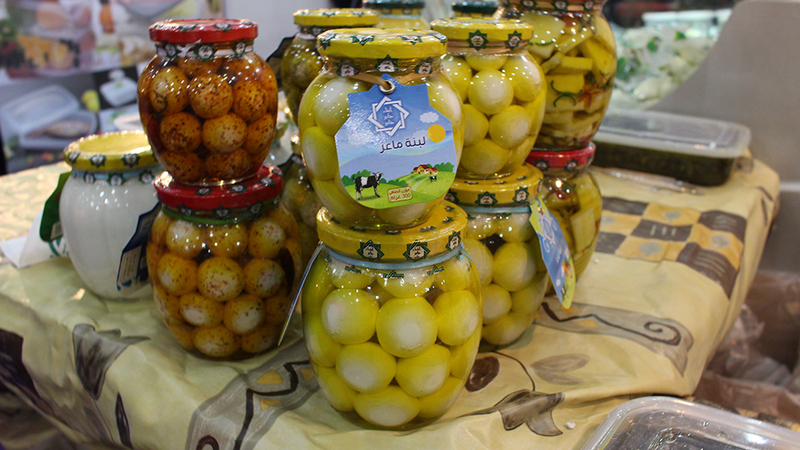 Swing by their stand for a taste as you will also find many healthy organic goodies for sale. 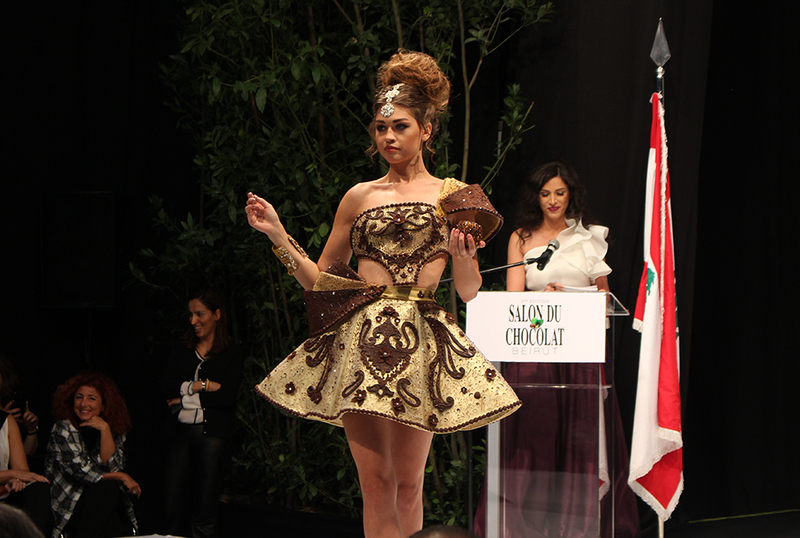 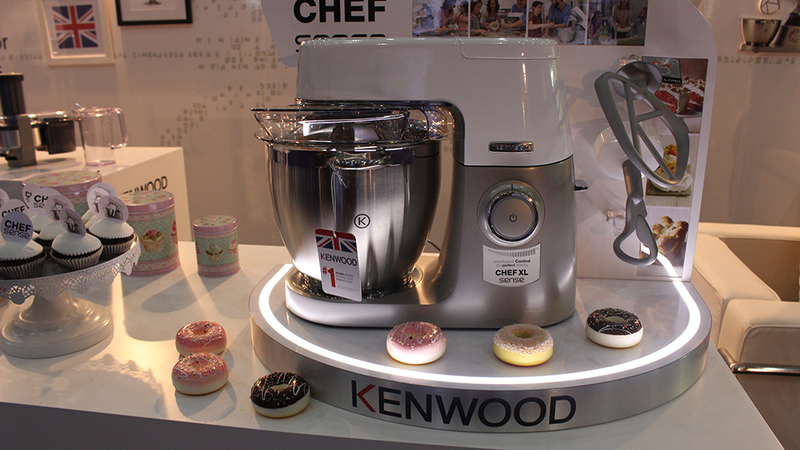 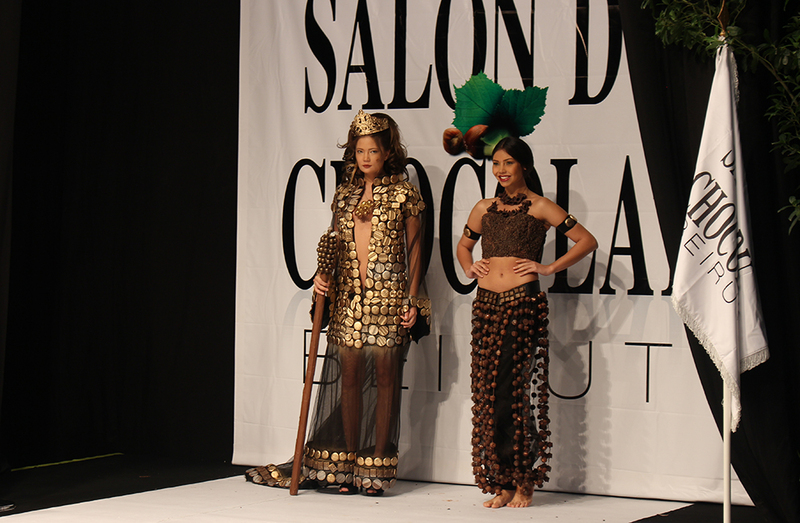 The 2nd edition of Salon du Chocolat showcases some of the biggest names in the industry. 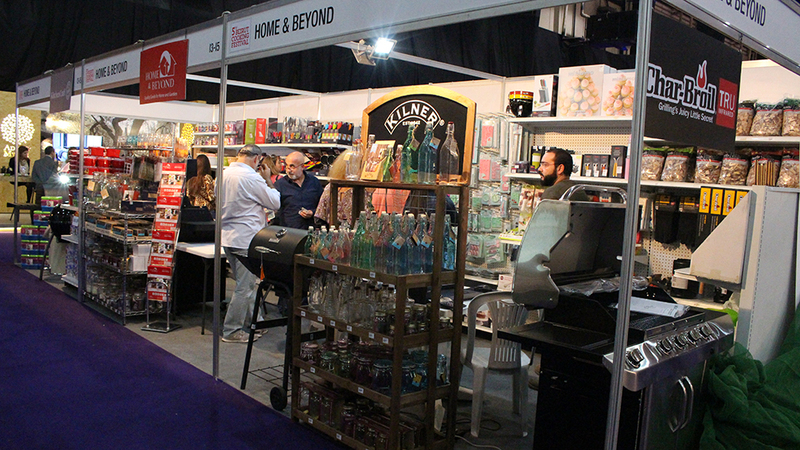 Don’t miss out on some amazing cake designs & trying succulent chocolates & sweets. 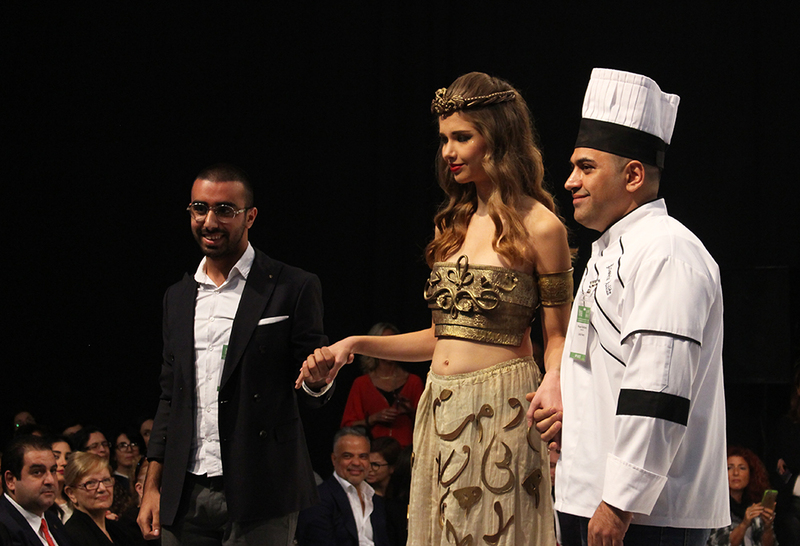 The festival’s opening ceremony was followed by a runway show themed “One Thousand and One Nights” with the guest of honour Lebanese international designer, Abed Mahfouz, whose design was executed by chef Charles Azar. 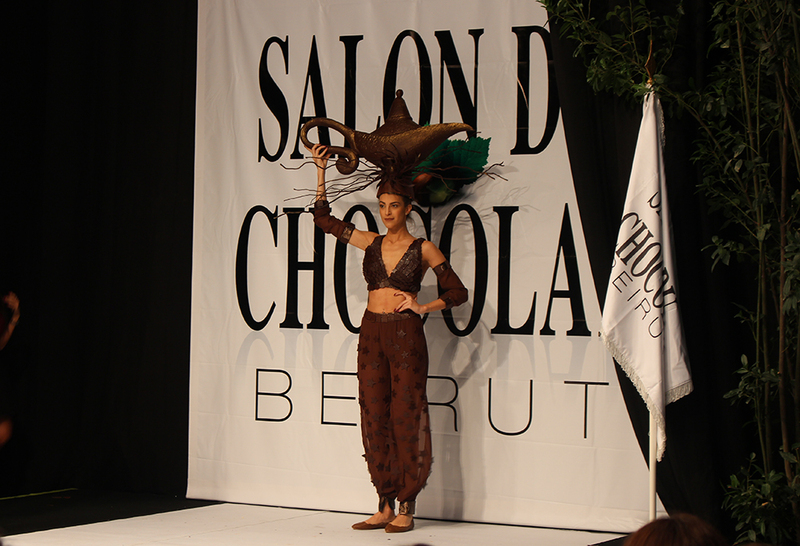 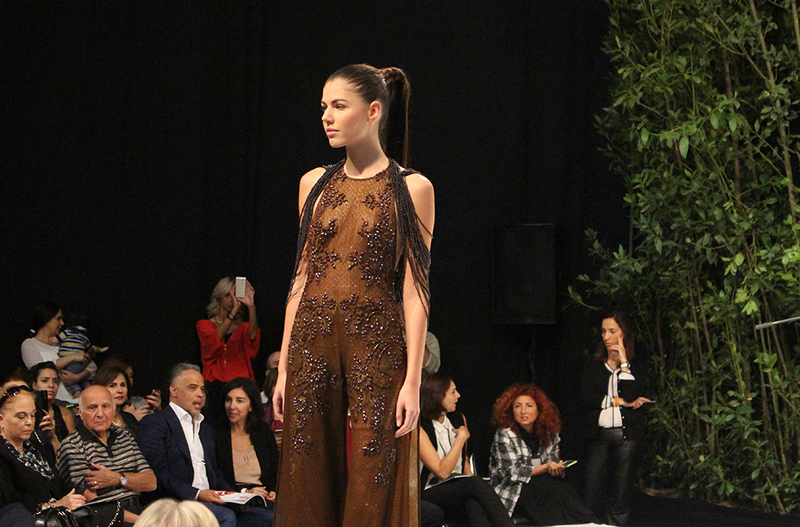 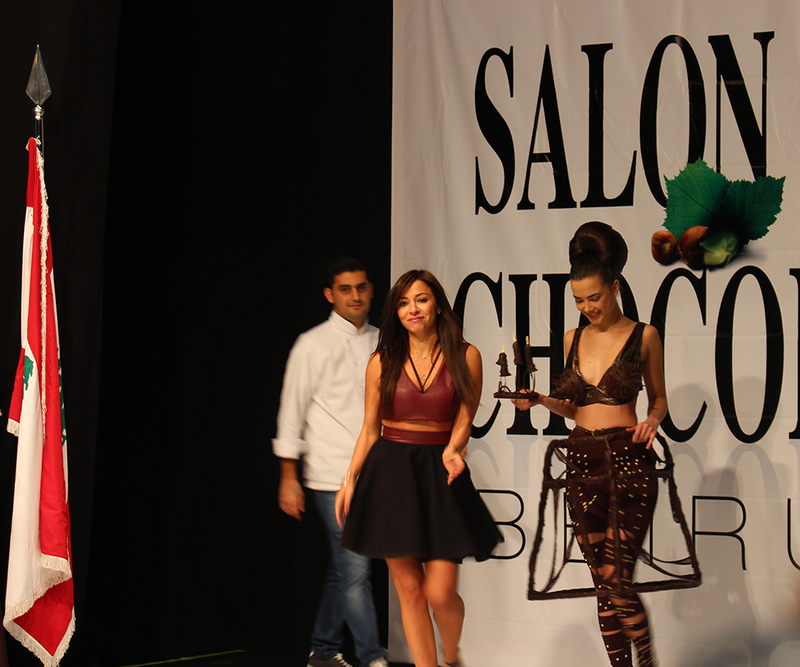 The fashion show also featured various beautiful designs from many fashion designers implemented by renowned Lebanese chocolatiers out of chocolates and fabric, it truly was a chocolate lovers dream come true!